Tasharen Entertainment Inc, brings us their newest game, Windward. Windward does not let you fiddle with advanced settings as is, but the presets it offers are more than enough for optimizing according to your system. The game can be set on English, Deutsch and Italian. Furthermore, you can enable appropriate settings for this genre like Camera Panning and Mouse Steering. Allow Player Ships: Players can bring their upgraded ships, or make them start from the beginning. Limit Item Stats: This will help balance high level items to the low level regions. Permanent War: All factions will be at war. After choosing these settings, you can scale the challenges difficulty and the combat damage. Next, you can set how the map is generated! Yes, you can generate a seed and preview the landscape in a map version, next to it are the Climate stats percentages and can hover over any part of the region to see its temperature, pirate danger and more in depth stats. You can also edit the map, draw the routes you prefer. Exchange: They have big ships, which make them prepared for carrying lots of goods; they are in charge of trading and delivering cargo. You gain extra experience from trading. Valiant: The muscle faction, why negotiate when you have firepower? Gain extra experience for… you guessed it, fighting! Soujorn: This faction is well trained for salvaging wreckages, obtaining minerals and exploration. Gain extra experience from travelling. Consulate: The diplomatic faction, negotiation is your strong suit. You obtain extra experience from quests and discounts when buying a Brig of War. Windward does not let you fiddle with advanced settings as is, but the presets it offers are more than enough for optimizing according to your system. The game can be set on English, Deutsch and Italian. Furthermore, you can enable appropriate settings for this genre like Camera Panning and Mouse Steering. When obtaining skill points you can spend them on a skill tree that offers ship reinforcements, improved carry weight, stronger cannons, better accuracy and special action abilities like Fog of War. When you filled most of them up, you can choose a specialization; focus on either improving your Defense, your Offense, or your Support skills. In your inventory, you can change different parts of your ship like the Hull, the sails, the cannons and their ammunition, your crew and your captain. Not to mention, you can customize your ship. 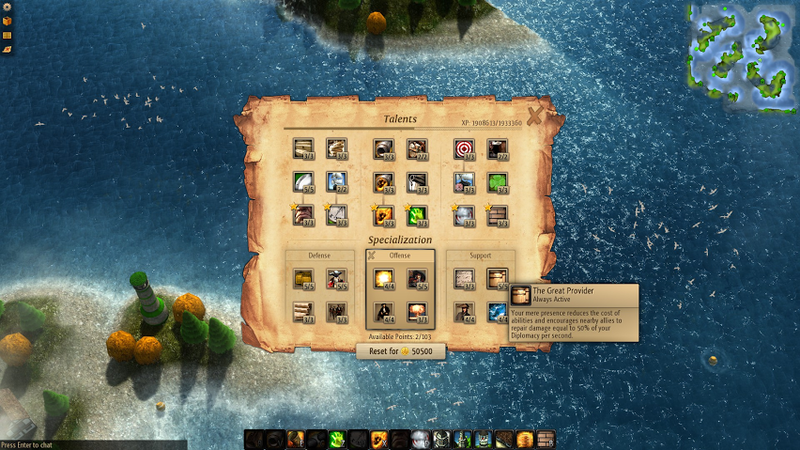 Your main resources are gold, wood, stone and black powder. Once at a port, you can buy cargo in exchange of gold. Role for their quests, buy new items and listen to rumors. If you have too much stuff in your inventory, you can store it at the port’s Vault. Moving your ship is very smooth, but do be careful not to hit the shores or anything rather than water. 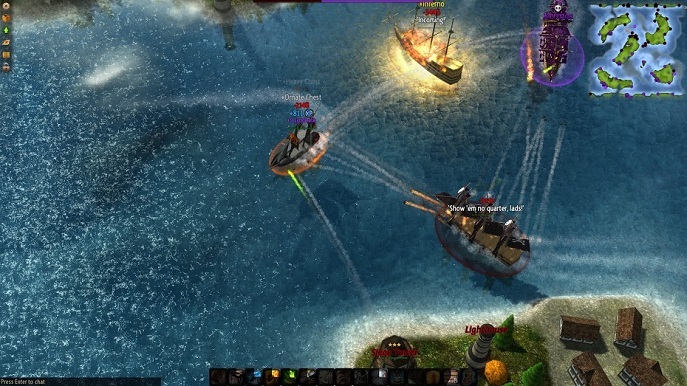 When encountering pirates or an enemy ship it will shoot you, so you can escape or fight back. Getting closer to them will increase your accuracy. Sometimes the tide and/or the wind will make your controls stiff, fortunately it’s not a gameplay issue. 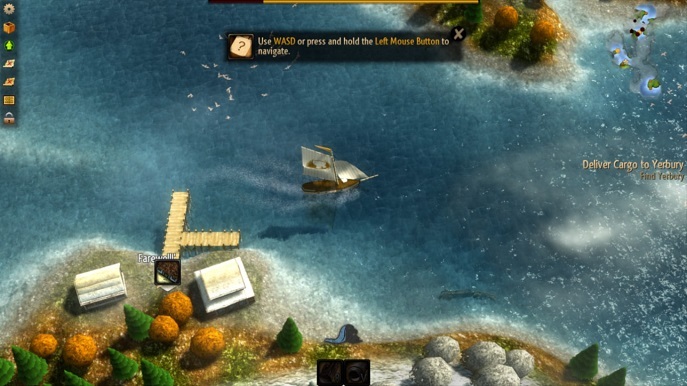 Also, once you discover new ports, you can choose to fast travel to them. What magnificent and soothing melodic instrumentals this game has. Gameplay is very enjoyable when listening to this well balanced OST. The only issue is that the Music crossfading is very noticeable, which is a bit NO for music mixing, it also loops all the time, its not cued precisely for regions or encounters, sometimes the crossfading won't even let the tune finish! You keep listening the the same looped tracks while listening to some pretty decent sound FX for explosions, cannons, sailing and wind. The game looks remarkable, it truly shows a ship adventure with the high details on the sea, if only the islands weren’t just pieces of lands with trees, and the docks do looks pretty much the same and simple. After a while the whole game will look redundant until you find different factions. The customizations for your ship are very well thought out; you will mostly have a unique type of ship, if you play for it. 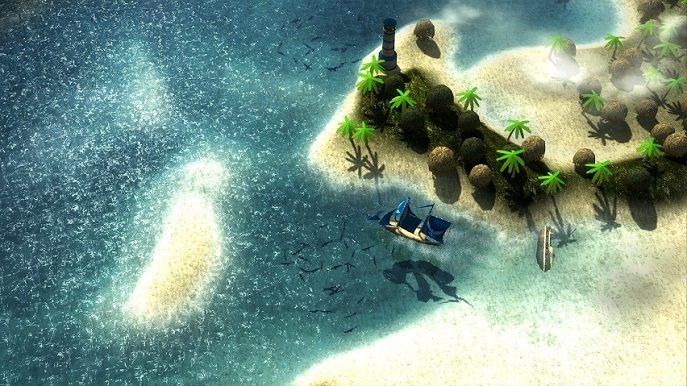 Windward is a relaxing and adventurous experience, waiting for you, the captain, to command in the vast seas. - Music crossfading makes the game break immersion.